True Firsts: Ego ipse custodes custudio? 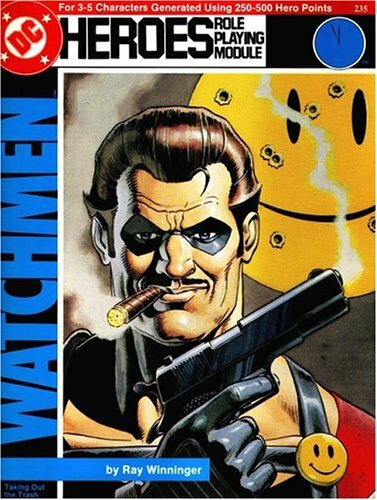 In anticipation of DC’s Rebirth here is a list of Watchmen books and related material collectors might want to take a look at. It also appears than Dr. Manhattan isn’t the only member of the Watchmen who will be affecting the DC Universe for the foreseeable future. This means that all Watchmen characters should now be speculated upon. 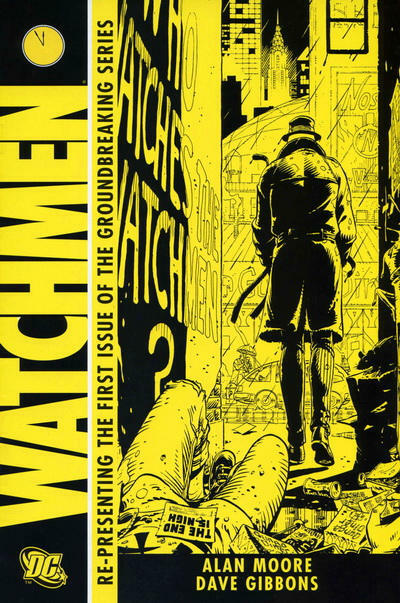 Concerning this list I am leaving books like DC Spotlight ( first Watchmen appearance ) and Before Watchmen: Dr Manhattan #1-4 and their variants out of this article as they have been expounded upon in great detail elsewhere. Any fan of super-hero comics should own the Watchmen in one form or another and if you are new to collecting I suggest reading the entire series right away! 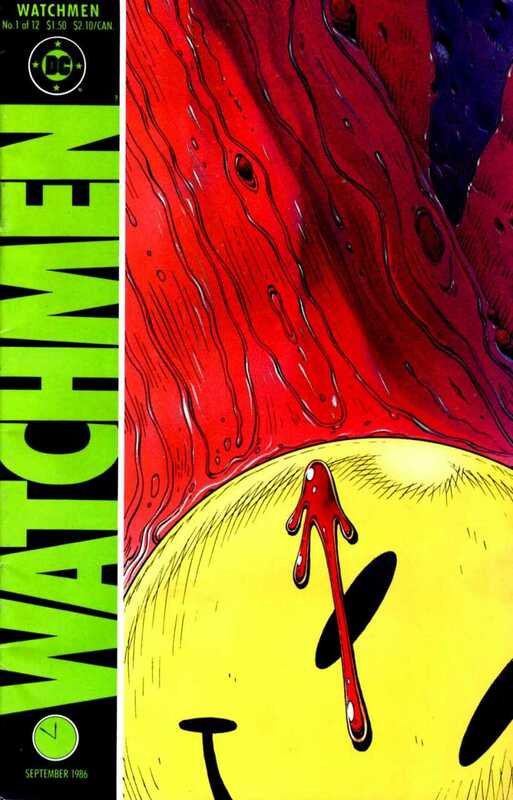 The most influential comic work of the 80’s wasn’t just the first time we were introduced to the Watchmen. 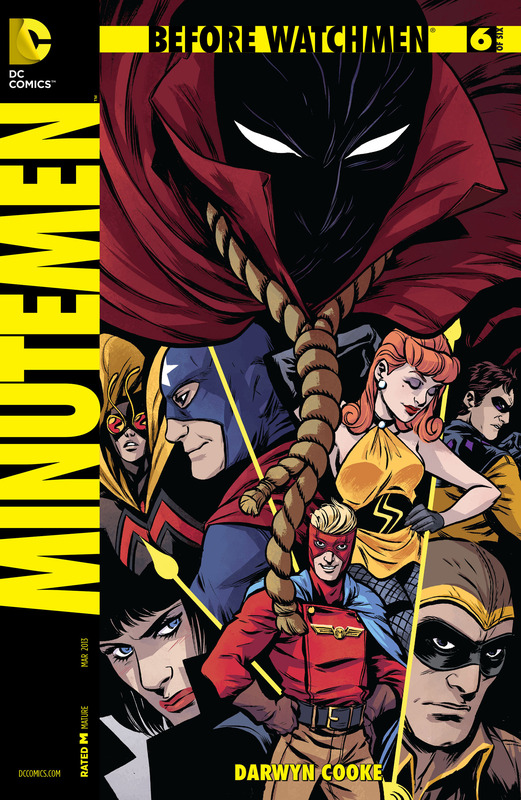 Silk Spectre 2, Nite Owl 2, Dr. Manhattan, Rorscharch and Ozymandias may have appeared in an earlier comic but not the Minutemen. DC would be wise to incorporate all of Moore’s characters into their new vision. As we all know by now Dr. Manhattan is set to be a major player in DC’s Rebirth. This is his origin. Buy now. It’s a modern key and while everyone is spending the Henchgirl profit on Watchmen 1 you can get in early. The divergence between the Watchmen universe and the DCU likely occurred in 1938 and coincided with the release of Action Comics 1. This event could be of major importance as Rebirth unfolds. 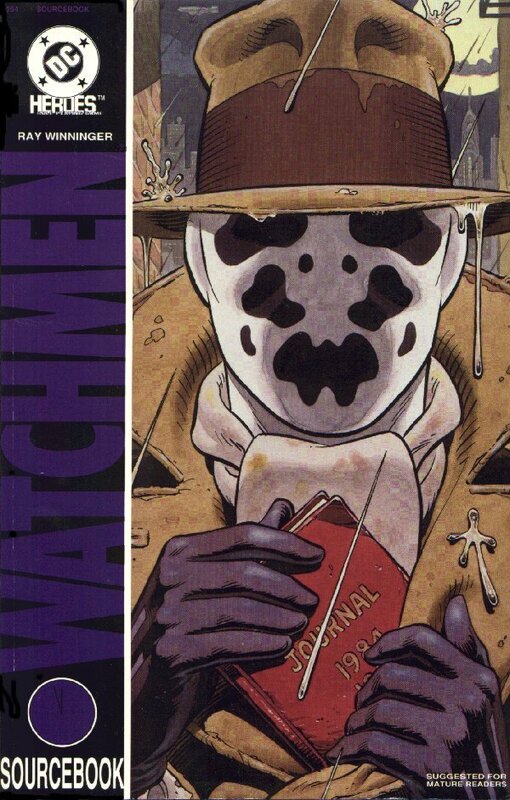 This neat little publications pairs nicely with the Role Playing Modules from Mayfair and it gives a ton of insight into the world of the Watchmen through a detailed, epistolary narrative. 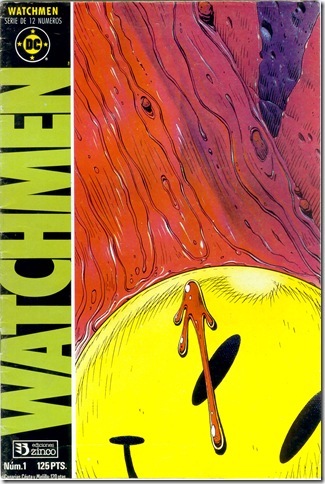 Of all the Before Watchmen comics this cover impresses me the most. Right now all the Cooke covers from this series are undervalued. The legend’s recent death has generated a spike in sales for his best works and whether you believe that to be a good or bad thing, these books remain overlooked. Mayfair games produced these books in 1987. They reprint material directly from the comic and are super rare. The only rpg game I play is with this girl I know who’s got a killer White Tiger costume but if you dig RPGs and the Watchmen then you are a rare breed and owning this should be a priority. 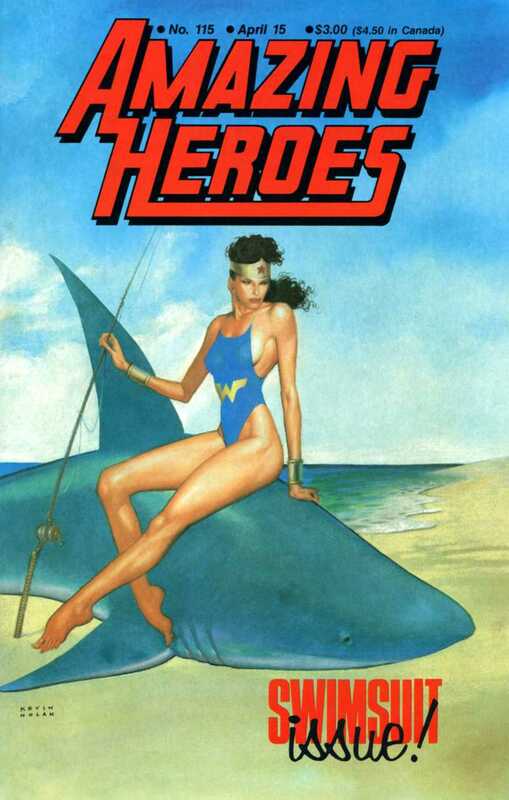 Certain titles from this DC reprint series are highly collectible. Look for the chromium editions and the regular editions of Dark Knight Returns Book 1 and the first issue of Preacher. 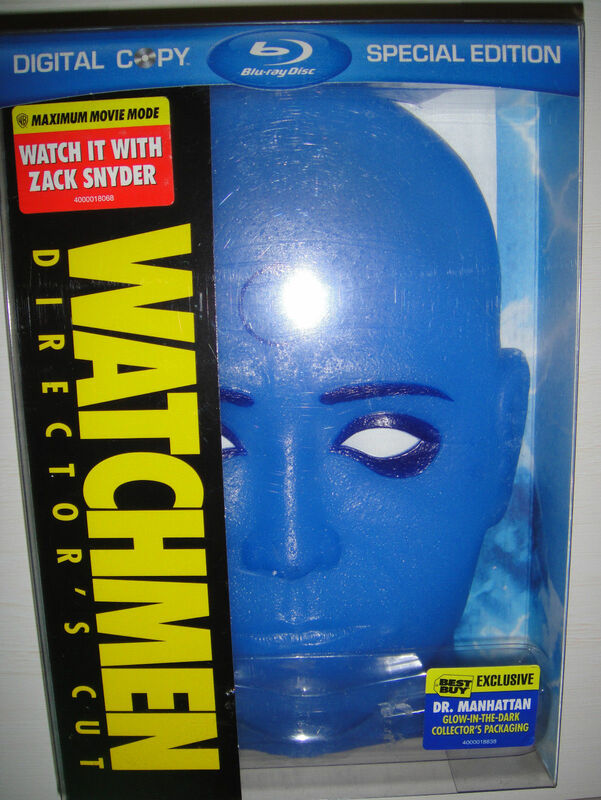 The movie release for Watchmen saw a plethora of tie-in merch at major retailers like Hot Topic and Newbury Comics. 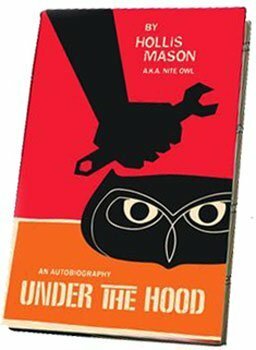 Nothing was a sweet as this Hollis Mason autobiography replica in the form of a journal. As far as reprints go this one is probably the hardest to find in back issue bins across America. 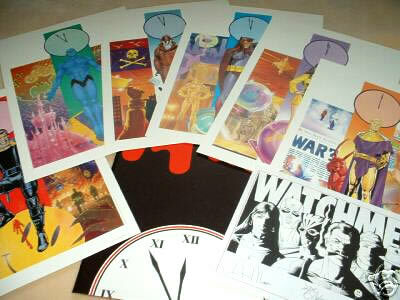 This set included art from series creator Dave Gibbons including previously unpublished Watchmen art. This promo poster was reprinted for the portfolio mentioned above. The original poster is much harder to find and I have never seen an original unfolded. 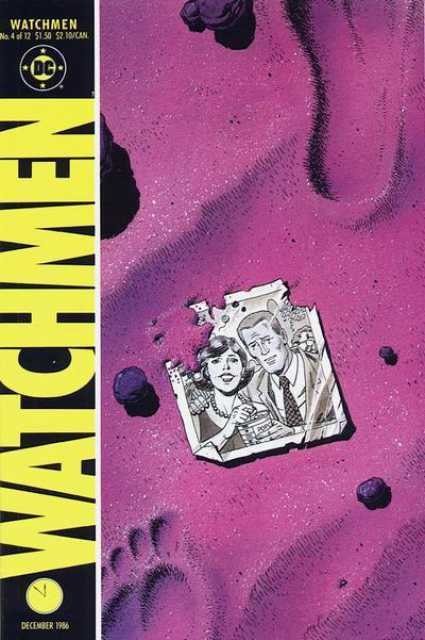 When Vic Sage ( The Question ) experiences an internal crisis concerning heroic ideals he buys a comic book off the stands to ease his mind, The Watchmen! Now that the Watchmen are part of DC proper this comic inadvertently has become an example of Grant Morrison’s explanation of “what DC is”. In his ambitious epic Multiversity, heroes are knowledgeable about heroes from other Earth’s through the comic books that they read on their own world. It is an idea Grant has revisited again and again going all the way back to Animal Man. 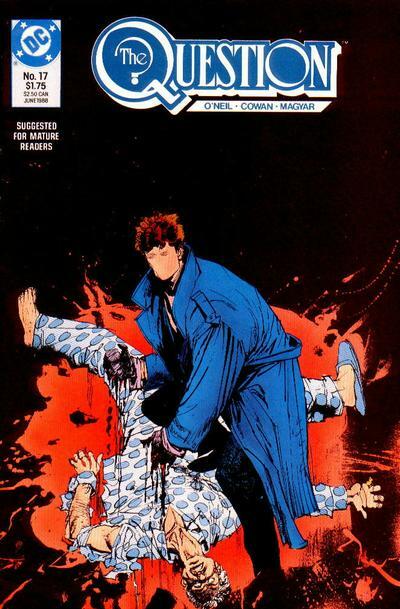 In this comic Vic experiences a connection to his Charlton counterpart Rorschach but he doesn’t actually know that he and Rorschach are bound by a state of existence called the multiverse. Others like Captain Atom from Earth-4 are so powerful that they know they are just characters in the comics that you and I read. This guy knows that our existence is his plaything. That’s OK as long as we don’t know he knows. Well here he is telling us that he knows and it’s unnerving. 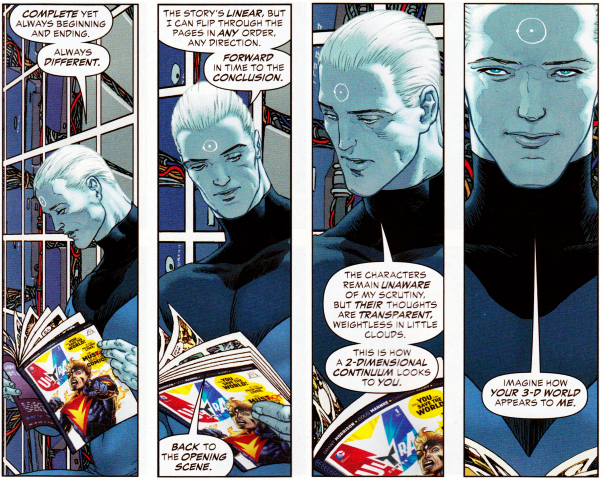 Captain Atom and Dr. Manhattan are similar in many ways and their origins are forever intertwined, it is important to understand just how powerful Manhattan is and why he’s as good a candidate as any to take on the DC Universe. Thank to Jeff “Nebo” N for cluing me into this one. 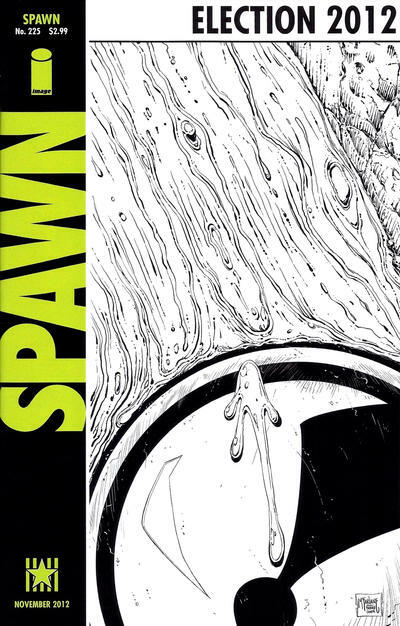 Homage covers are quite a thing these days and this one is definitely the best Spawn had to offer! I consider these types of Publications to be appearances in their own right and many shops simply do not carry them anymore. Granted it has more historical value than anything else but you can probably find it online for next to nothing. 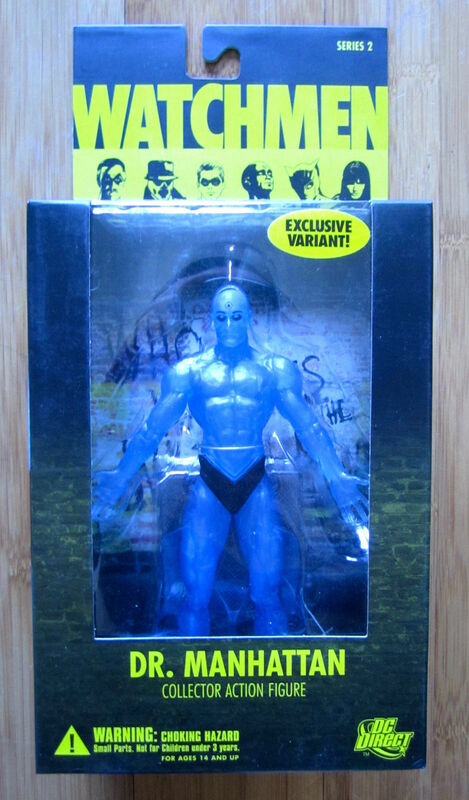 Amazing Heroes 97 might just be Dr. Manhattan’s first cover appearance! Note: If you are a Rorschach fan he also appears in Darkwing Duck 8: Crisis on Infinite Darkwings and in issue 1 of Moore’s SMAX! Rorschach and the book Under the Hood appear in this legendary work from Waid and Ross. Have fun looking for both! Like the other Watchmen characters Dr. Manhattan is based on a Charlton character. In his case it’s Captain Atom. If you know the history of the Watchmen then you know why this was done. Manhattan has appeared in various forms over the years and recent incarnations like the Earth-4 Captain Atom illustrate the true power he possess. Manhattan’s motivations in Rebirth are not yet know but delving into the source material is a good idea and lucky for us it’s often a dense metatextual, Grant Morrison adventure or the work of other talented creators. 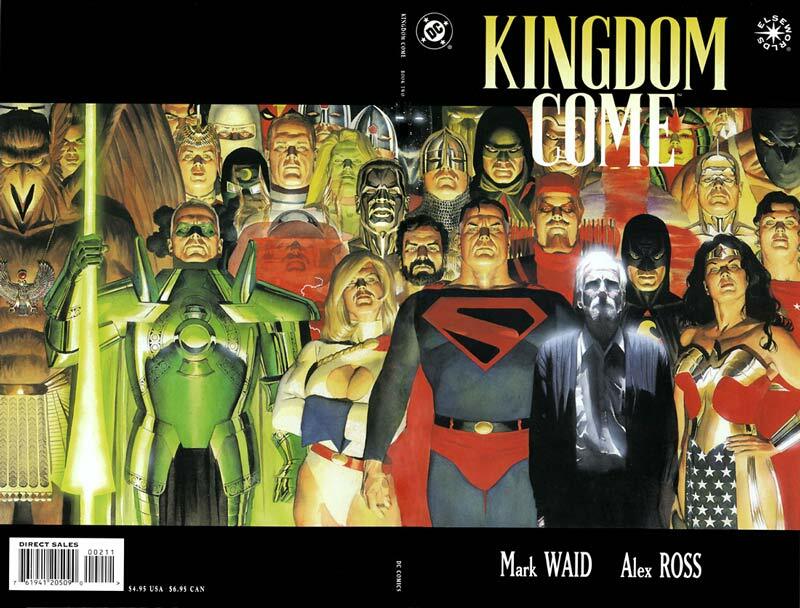 The best contemporary examples are Pax Americana and Final Crisis: Superman Beyond. In my opinion DC needs a new, powerful antagonist. The heroes we love can only fight Darkseid and the Anti-Monitor so many times before it all seems stale and repetitive. January 9, 2018 Spider-Man 2, Trigon, Star Trek 4 & More! 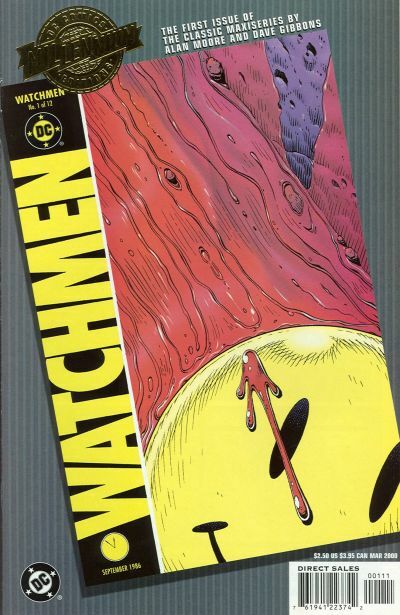 Graphitti designs put out a signed hardcover of watchmen in the late 80’s/early 90’s. I pondered including some of the more rare HC editions, foreign and trade stuff and now I wish I had. 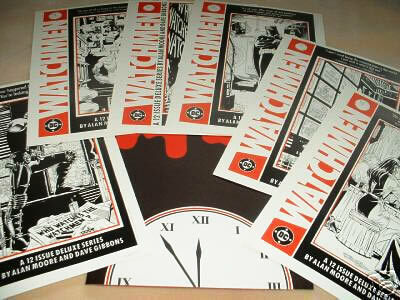 Thank you for mentioning these, I hope some others can clue readers in on more Watchmen rarities. 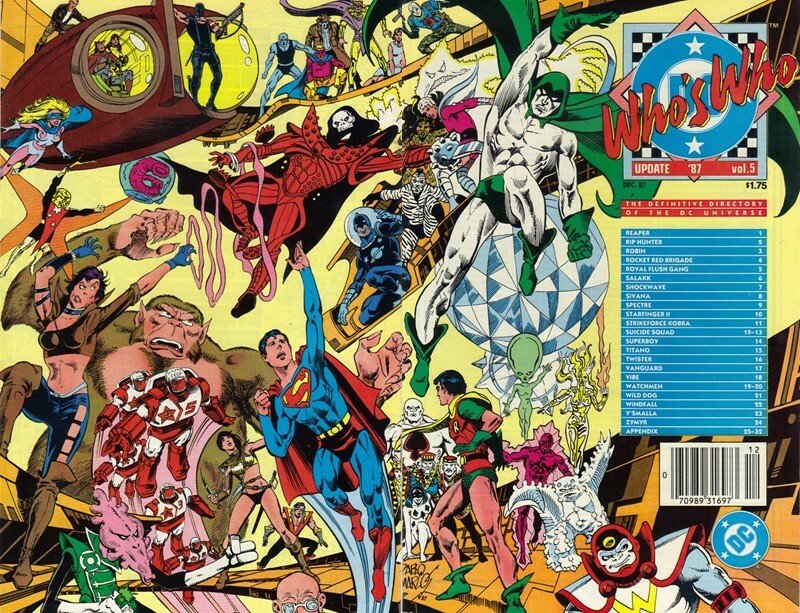 One-Page, interior, teaser ads appeared in several August, 1986 + September 1986 cover-dated DC titles, by Gibbons and Moore; much like the promotional poster. Infinity Inc. 29, Legion of Super-Heroes 25 & 26, Shadow 4, Legion of Super-Heroes Annual 2, et al. Also, if you like Who’s Who Update 87 Vol. 5, then Vol. 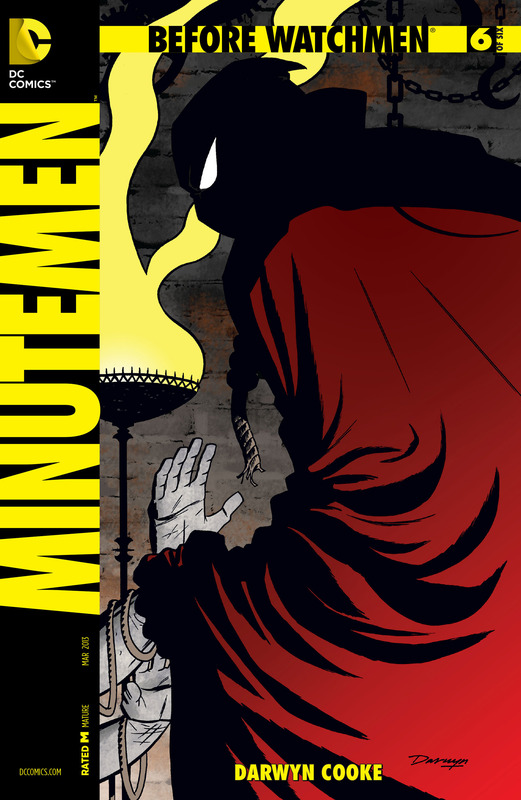 4 has a one-page profile page by Moore & Gibbons for the Minutemen. Personally I only collect an advert or preview if it’s a first appearance but this is all good info. compared to all other reprints for issue 1 alone it ain’t easy. 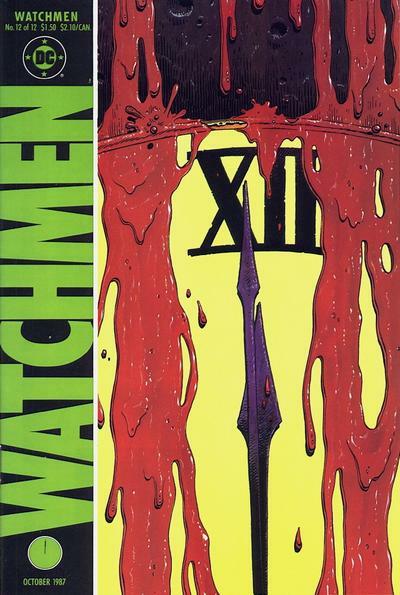 Well if i have Watchmen 1 from 1986 is there any point in getting the reprint from 2008? wouldnt the 1986 copy be worth more? Yes it absolutley would! But some reprints are desirable to collectors and prices of more difficult to find printings can be high. This printing may prove to be nothing more that a dollar bin book but if I saw it mixed in with drek I would take a chance, plus that panel is iconic and makes for a nice cover! Amazing amount of info in this article. I’ve been curious about that Watchmen 1 2008 reprint, given that 2nd printing variants are all the rage. I want to say I looked it up on Comichron a while back and it was 20k. Since the original is a classic, I don’t expect anything too crazy to come out of a 2008 reprint, but picked up a NM+ or better copy out of a dollar bin just in case. It seems like the type of book that *could* do well if Amazon/AA get cleaned out. Great article Topher! 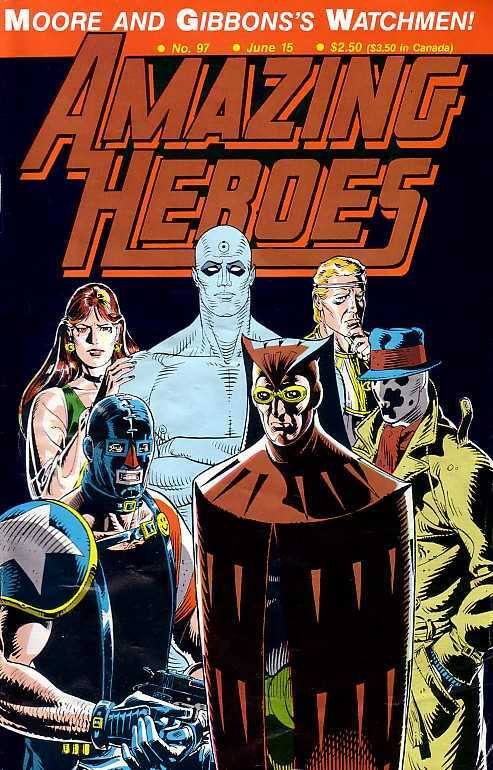 Amazing Heroes 97 is a nice pick. I love that cover. 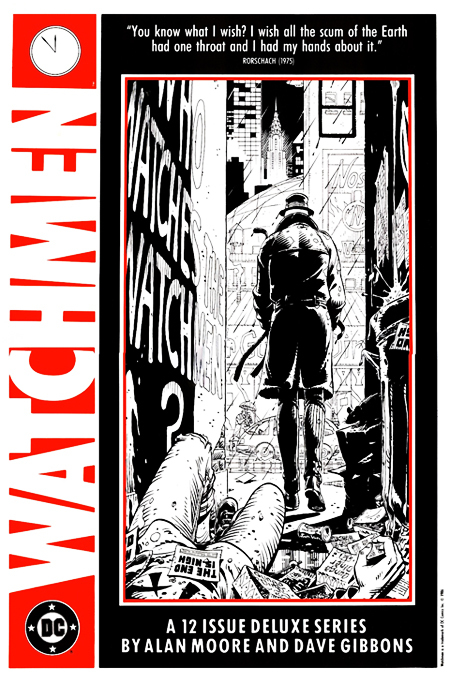 For big Watchmen fans, I would also recomend the first french editions from Les Gardiens. They featured wonderful original covers by Dave Gibbins. They are tough to find but here’s a site where you can see the cover art. 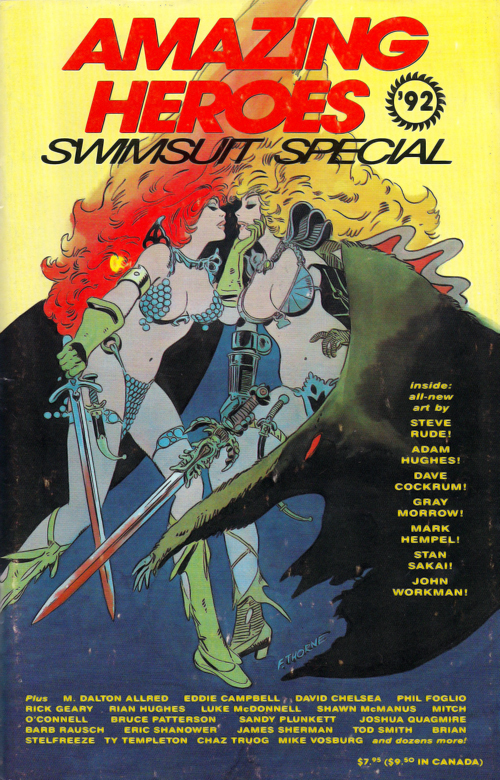 It’s the same covers from the portfolio set you posted, just in comic form. I believe they are hardcovers but I haven’t been able to track them down yet. No love for the Watchmen button sets? There was a limited and numbered 4-button set that featured the Rorsach design, the phrase “Ego ipse custodes custudio”, the radiation symbol and a five-minutes -to-twelve button with blood dripping from the top. Uniquely, it did not contain the smiley face, but each set was numbered. These were issued in 1986. The bloody smiley face button was a store giveaway, about the same time as the shrink-wrapped, numbered, collectible 4-button cards. Ah, that would explain it. Thanks! Pretty funny, there was a Watchmen 12 cgc 9.8 I was watching earlier today…this article releases and BLAM it’s gone. Ask Jimmy about 12, he clued me in on that one! The iconic smiley face appears on the cover to issue one which I mention above. Excellent stuff Topher. Thanks for taking the time to write this. I think it is also worthwhile to note that the portfolio exists in a french version that was signed by both Alan Moore and Dave Gibbons and is very hard to find and very expensive! 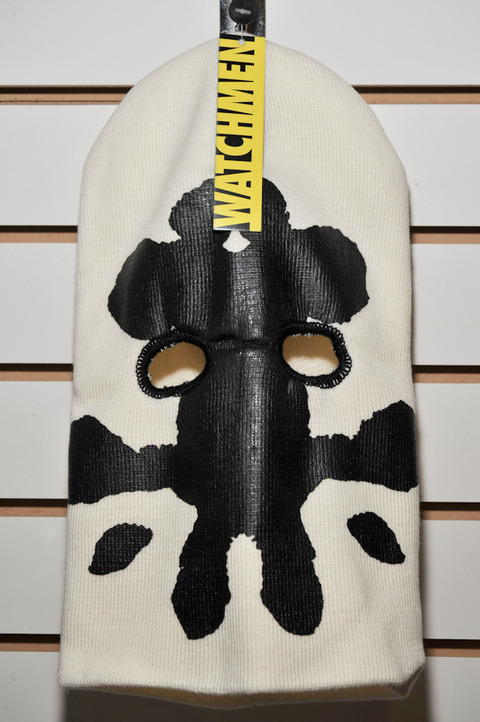 and what about the Watchmen hardcover book by graphity? That is also a book to look out for.